1898: Sudan optd. 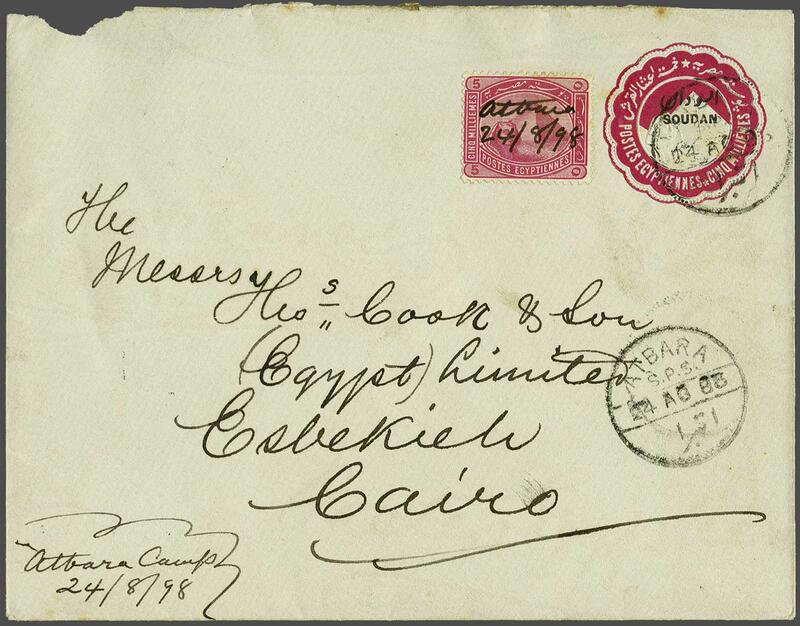 5 m. red postal stationery envelope used to Thomas Cook in Cairo, cancelled by 'Atbara / SPS' cds and up-rated for 1 pi. 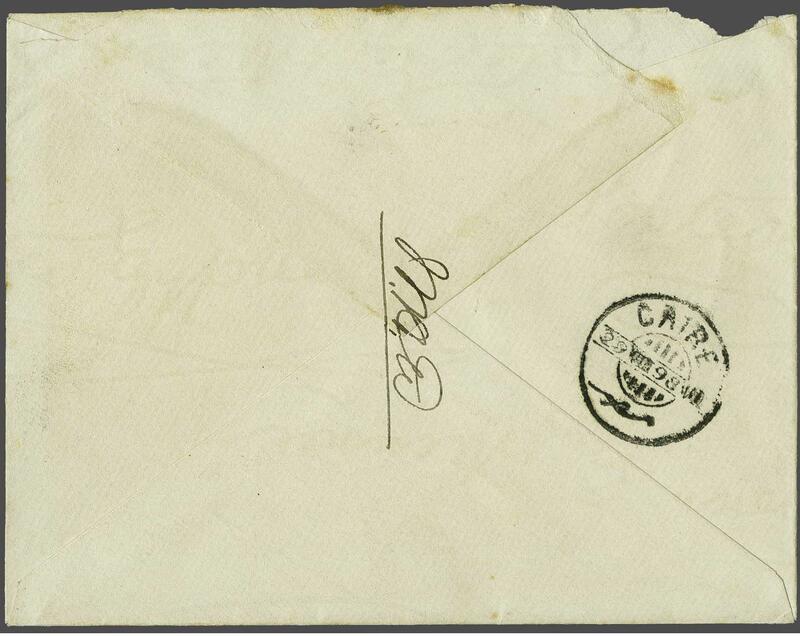 rate with un-overprinted Egypt 5 m. carmine cancelled by manuscript "Atbara 24/8/98" in ink. Docketing at left 'Atbara Camp' of same day and reverse with Cairo arrival cds (29/8) in black. 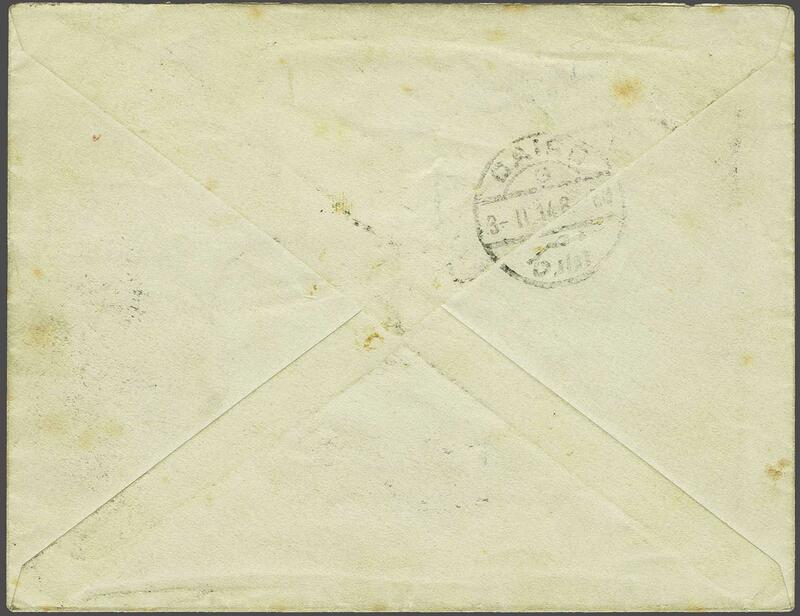 Scarce and most unusual cover. 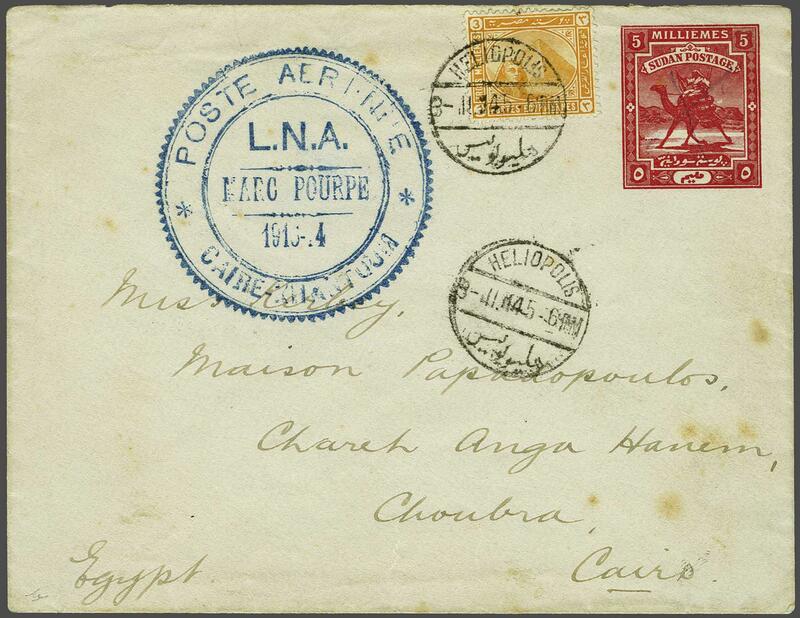 Marc Pourpe Return Flight 1914: Sudan 5 m. red postal stationery envelope mailed on the return flight from Khartoum to Cairo, cancelled by manuscript cross with large circular 'POSTE AERIENNE / CAIRE-KHARTOUM / L.N.A. / 1913-14' struck in blue. Egypt 3 m. yellow applied and tied by Heliopolis cds in black (Feb 3) with information strike below and Cairo cds on reverse. Extremely rare with just 35 covers carried. Signed Todd AIEP.